Are you looking for more than a truck driving job? Tired of working short hours or seasonal work? Not fond of being treated like a number? If so, come join Team MTS where we offer rewarding career opportunities. 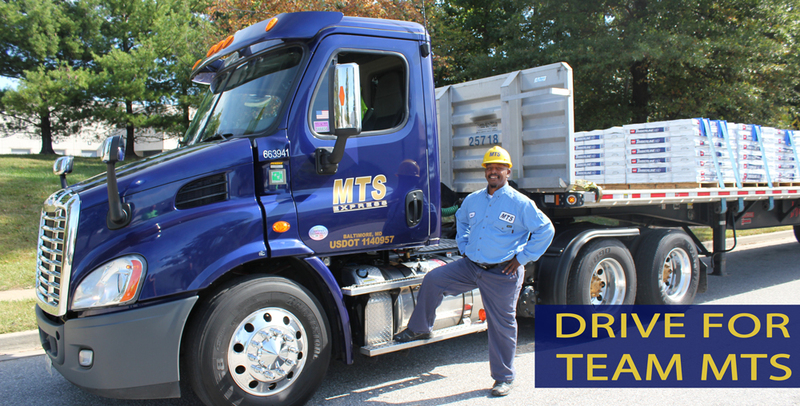 Our growth allows MTS to offer local, regional, and dedicated long haul driving positions for safe and dependable CDL class “A” company drivers. As a company driver for Team MTS, you have found the trucking company that not only compensates you in many ways but looks out for you mile after mile. MTS is a family owned and operated trucking company with big company pay and benefits. Come join Team MTS. The family is waiting! CALL 888-612-7224 EXT. 20 FOR MORE INFORMATION. If you are a Flatbed, Curtain Sided Van or Van driver click for the MTS Express Application. If you are a Hot Liquid Asphalt, Tanker HazMat driver click for the MTS Transport Application.